I met an adorable fellow food blogger, Daniela, in the food bloggers group on Facebook, and immediately fell in love with her work because….. well, because the very first post I read of hers had the F word in it, and I knew she was my kind of girl! Ok, ok, ok… also, because, she focuses primarily on sweets? But uh, not just any sweets, vegan sweets! If you have not dabbled in vegetarianism or veganism, you might be sitting there wondering just how possible it is to create vegan sweets recipes that actually taste good, and Daniela is here to tell you, and I am here to echo her, that it is ENTIRELY possible, and ENTIRELY delicious. I have to admit, I have not done much vegetarian or vegan baking, and I was not sure how these would turn out or come together. But they totally surprised me, and now I am a believer. When you are raised to believe that “you need an egg to bind it”, then you read a recipe for something like a muffin and of course feel doubt that it would come together. These muffins were delicious though, and so easy to make, considering I pretty much always have all of these ingredients in my house anyway. The only thing I will say though is, I am not sure how accurate conversion measurements would be. I have a kitchen scale, so I set it to grams, and measured everything out that way. I attempted to google conversions but they were so precise, I didn’t even bother going that way. 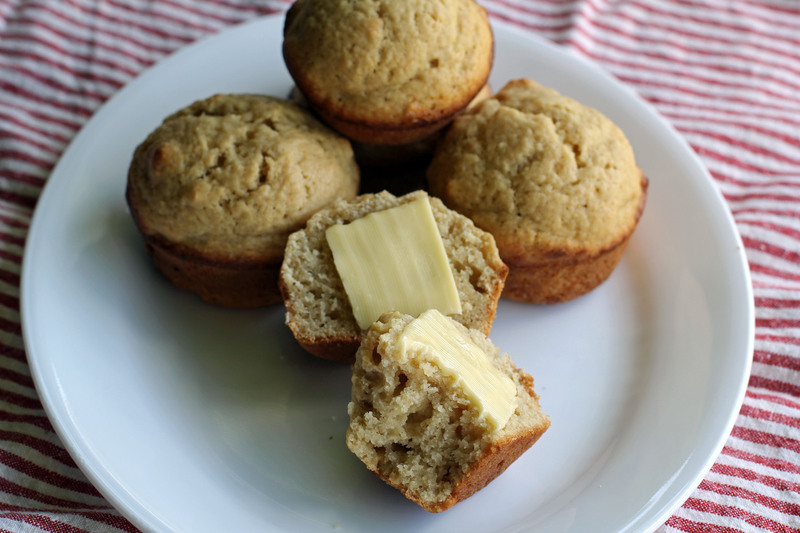 Go check out Daniela’s blog, and make these muffins!